SANITY FAIR: ROOM FOR COLOR! 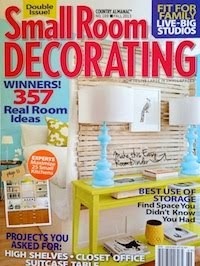 Thanks so much to everyone who voted for me in the Apartment Therapy "Room for Color Contest"! I finished number five in my division (the cool shade division), which was thrilling, especially since I kind of entirely forgot about the contest, what with trying to survive the hurricane, and the last week before the election, and being sick. I hadn't even had a chance to look at the other contest entries until it was over, but there were some really great spaces. 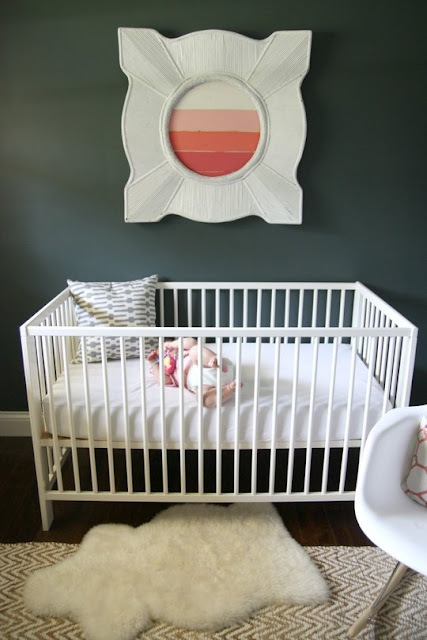 This nursery by Dana is just charming. Kimberly's warm living space in Colorado - this would be very cozy in a snowstorm. My favorite: Rohde's color-intense bedroom, especially the tie-dye artwork. This is such a fun, vibrant space, and I love the art wall. Check out the rest of the entries and the division winners HERE. You totally should have won! 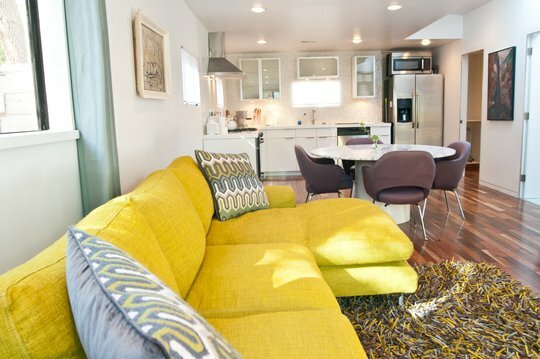 I'm a new reader and LOVE your apartment and your style. Lovely spot colors! Makes the rooms come alive!